Saveurs Toscanes which took place last weekend at the Arsenal in Brussels was a feast for lovers of Tuscan food and wine. It was great to visit the many stands with producers that made the trip from Tuscany and meet some cheese, wine and meat producers who we had been meeting over the years since the event started taking place. Tuscany, for lovers of food and wine, is one of Italy’s richest regions. For wine, you will find appellations such as Chianti Classico, Brunello di Montalcino and Rosso di Montepulciano. All were well represented at this event and I must say that most of the wines that I tried were good, even those from very small producers who are not known in the wine guides. Tuscany is also home to wines called “Super Tuscans” which are exceptional table wines that do not follow the norms, i.e. do not necessarily use the indigenous Sangiovese grape. 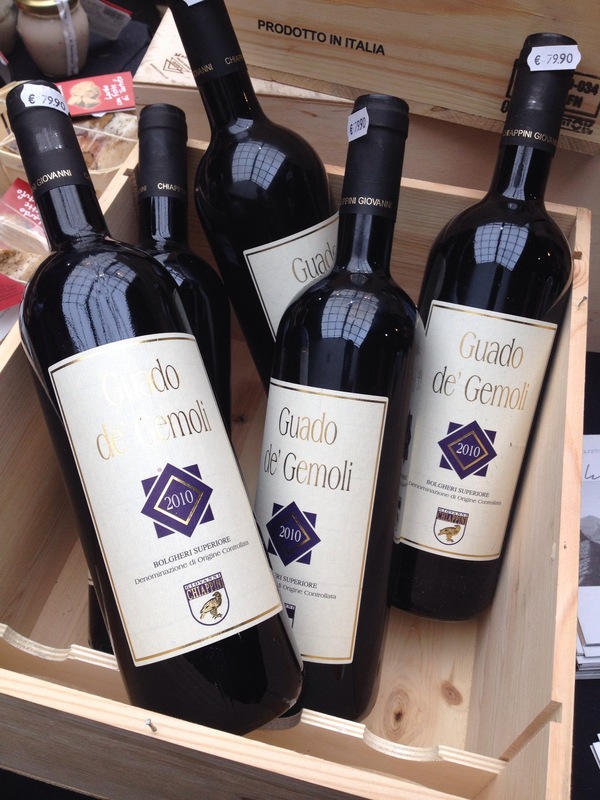 These wines have become cult wines and among them is a small producer Chiappini who has vineyards in Bolgheri neighbouring the world famous Ornellia and who makes some exceptional wines including the Guada de Gemioli. At Saveurs Toscanes we tasted Felciano, a blend of Cabernet Sauvigon, Merlot and Sangiovese which is an incredibly good wine for its price quality ratio as well as the Ferruggini, a more typical wine of the region with a blend of Sangiovese, Cabernet Sauvignon and Syrah. This producer is really one to watch. Giovanni Chiappini, son of farmers who moved from the Marche to the B0lgheri region in the 1950s is today assisted by his two daughters Martina and Lisa. One of the most interesting wines I tried was a Sangiovese white wine (Sangiovese is a grape which is used to produce red wines) which is aptly named Lunatic by the producer. He told me that in the region, he knows of only one other wine producer who uses the same method of using Sangiovese grapes to produce white wine. What he does is press the grapes without allowing for any extraction resulting in just the juice being fermented into wine. 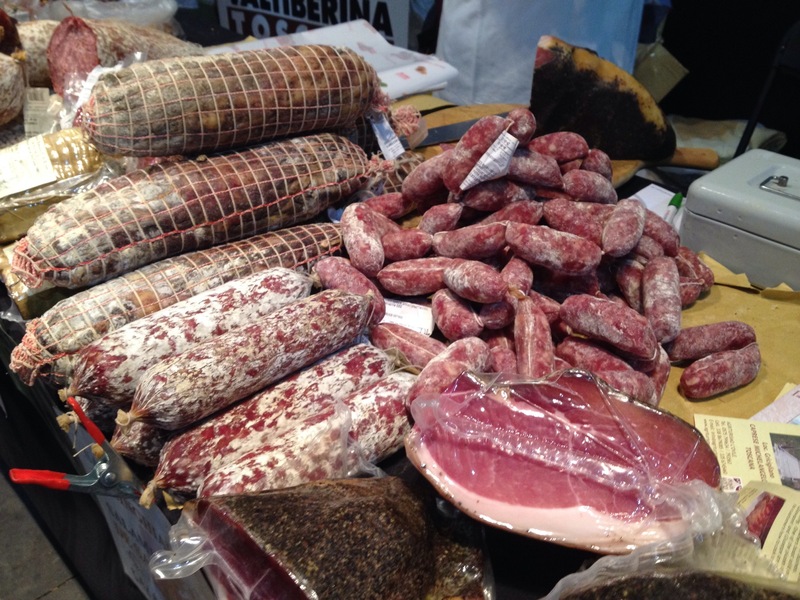 Apart from the wines, we tried pork products from Azienda Agricola San Lorenzo which works with free range Cinta Senese on their farm. The pigs have a diet based on acorns, chestnuts, tubers, corn, field beans, soya, wheat, barley, fruits and vegetables. The lard in different forms produced by this company was exceptional as were all the products we tried. 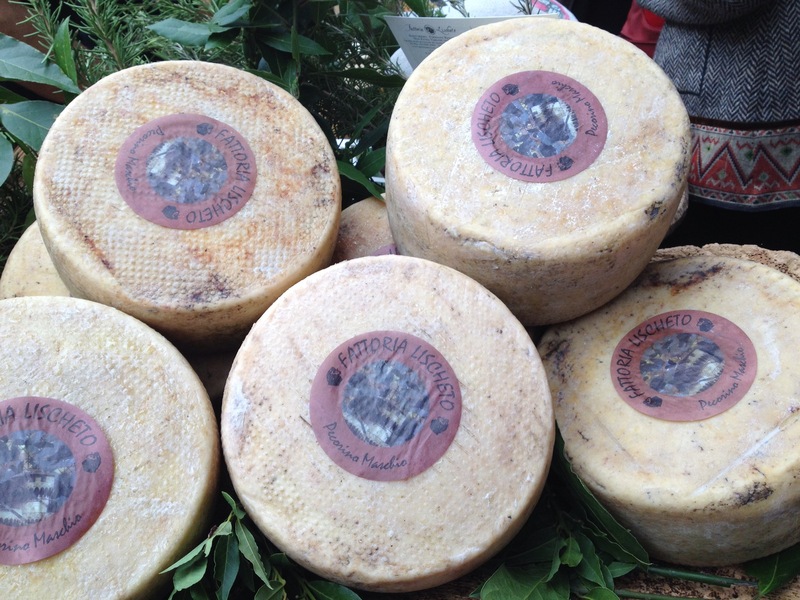 We particularly liked the Pecorino (both the natural as well as the one with peperoncino) which were produced by the Tenuta “Il Bettarello”. We also love the simplicity of their wines from the Massa Marittima which are simple but very drinkable wines (we ended up buying both their white and red wines). The Pecorino from Fattoria Lischeto was exceptional as were many of the salamis which were on offer with either truffle, porcini mushrooms (cep) or natural. Organised for the first time in 2004, Saveurs Toscanes returned to Brussels after events in previous years in Wallonia and Flanders. This remains one of our favourite food events in Belgium and we look forward to the next event.